These super-spices contain capsaicin, a potent phytochemical that may protect against cancer (particularly colon cancer), diabetic complications, and heart disease. Hot peppers also help to reduce cholesterol and triglycerides, thus protecting against strokes and heart attacks. As a good source of beta-carotene, red hot peppers may help reduce the symptoms of inflammatory conditions such as asthma as well. The capsaicin in hot peppers helps to prevent ulcers, eliminates nasal congestion, and acts as a natural painkiller. It has been used to treat osteoarthritis pain and cluster headaches, as well as in topical analgesic creams. Researchers are currently studying capsaicin’s potential in treating sensory nerve fiber disorders such as pain associated with diabetic neuropathy, psoriasis, and arthritis. As if all these benefits weren’t enough, hot peppers also boost the immune system and aid in weight loss by increasing thermogenesis (burning calories to create body heat) for over 20 minutes after consumption. Hotter peppers such as habaneros, Scotch bonnets, and cayenne have more capsaicin, jalapenos are in the middle, and milder peppers such as Spanish pimentos and Hungarian and Anaheim cherry peppers contain less capsaicin. Ground or diced hot peppers can spice up meats, stir fries, bean dishes, pastas, pizza, and nachos. 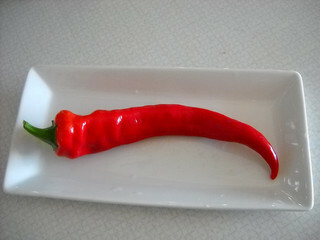 They are a key ingredient in hot sauces and particularly good with any dish that includes cheese. Hot peppers are quite versatile, and can be used in a broad array of main courses, side dishes, baked goods, and even desserts (combinations of chilis and chocolate have become very popular in recent years). They also make a nice side dish on their own when stuffed with cheese, meat and cheese mixtures, or other ingredients and deep fried or baked.